Richard Pazdur, M.D. is the director of the FDA's Oncology Center of Excellence (OCE), which leverages the combined skills of the FDA's regulatory scientists and reviewers with expertise in drugs, biologics and devices to expedite the development of novel cancer products. In his role as director of the OCE, Pazdur is responsible for leading the effort to develop and execute an integrated regulatory approach to enhance the cross-center coordination of oncology product clinical review. 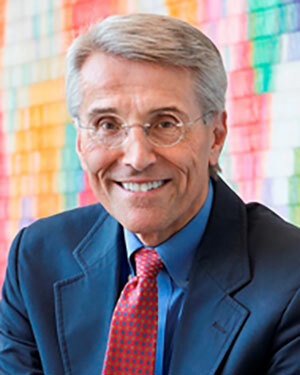 Pazdur previously served as the director of the Office of Hematology and Oncology Products (OHOP) in the FDA’s Center for Drug Evaluation and Research and continues to serve in OHOP as acting director. This Office was formed in 2005 to consolidate the review of drugs and therapeutic biologics for the diagnosis, treatment, and prevention of cancer, as well as the review of drugs and therapeutic biologics for hematologic diseases and for medical imaging. As director of OHOP, Pazdur facilitated coordination of oncology activities across all FDA Centers and ensured an ongoing outreach and collaboration between the FDA, the National Cancer Institute, and other cancer-related organizations within and outside of the government. Pazdur was the director of the Division of Oncology Drug Products from September 1999 to May 2005. Prior to joining the FDA, Pazdur was professor of medicine at The University of Texas M.D. Anderson Cancer Center in Houston, Texas. Pazdur was on the faculty of the M. D. Anderson Cancer Center from 1988 to 1999. During his tenure at the M. D. Anderson Cancer Center, Pazdur held administrative positions of assistant vice president for academic affairs, associate director of clinical trials administration (Division of Medicine) and director of educational programs (Division of Medicine). Pazdur served on the faculty of Wayne State University, Detroit, Michigan from 1982 to 1988. Pazdur received his bachelor’s degree from Northwestern University (Evanston, Illinois), his M.D. from Loyola Stritch School of Medicine (Maywood, Illinois), and completed clinical training at Rush-Presbyterian St. Luke’s Medical Center (Chicago, Illinois) and the University of Chicago Hospitals and Clinics. Pazdur has published more than 400 articles, book chapters and abstracts. In 2015, Fortune magazine named Pazdur as one of the 50 World’s Greatest Leaders. The American Association for Cancer Research recognized Pazdur with its Distinguished Public Service Award (2015) and the American Society of Clinical Oncology recognized him with the Service Recognition Award (2009) and the Public Service Award (2013). In 2015, Pazdur also received the Public Service Leadership Award from the National Coalition for Cancer Survivorship and also the Face of Hope Award from the LUNGevity Foundation. Most recently, in 2016, Pazdur was named to Massachusetts General Hospital Cancer Center’s “The One Hundred” list.